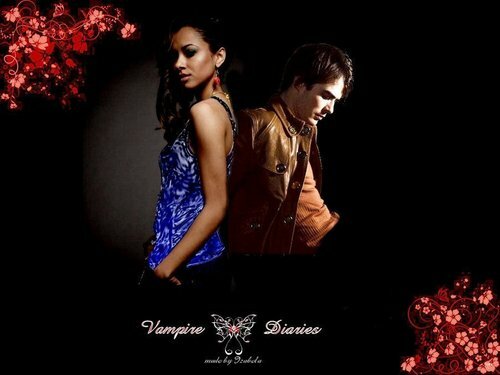 Vampire Love. . HD Wallpaper and background images in the The Vampire Diaries Couples club. This The Vampire Diaries Couples wallpaper contains concert. There might also be dinner dress, dinner gown, formal, evening gown, cocktail dress, and sheath.